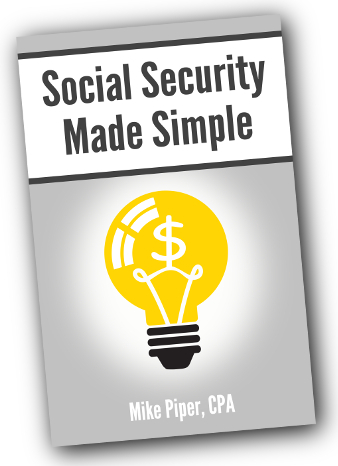 How Do Child-in-Care Spousal Social Security Benefits Work? You must have in your care a child who is under age 16 (or disabled) and who is receiving child benefits on the work record of your spouse. Like regular spousal benefits, the amount of a child-in-care spousal benefit is 50% of your spouse's "primary insurance amount" (PIA) -- that is, 50% of the monthly retirement benefit that they would get if they claimed their retirement benefit exactly at their full retirement age. Unlike regular spousal benefits, you do not have to be age 62 in order to receive child-in-care spousal benefits. In fact, there is no minimum age at all. Also unlike regular spousal benefits, filing for child-in-care spousal benefits cannot cause a "deemed filing" for retirement benefits. This opens up some strategies for receiving spousal benefits while allowing your own retirement benefit to continue growing. When he reaches age 70, Bob files for his retirement benefit, at which point his child-in-care spousal benefit ends. Ellen files for child benefits on Bob's work record so that she can receive a larger child's benefit. If applicable, Jane also files at this time for spousal benefits on Bob's work record. When you lose eligibility for child-in-care spousal benefits (i.e., when your youngest child reaches age 16, if you have no disabled children), what happens depends on your age at the time. If you are younger than full retirement age when your youngest child reaches age 16, your child-in-care spousal benefit will be suspended. If you are at least age 62 (or when you do reach age 62), you have the option to begin regular spousal benefits by filing Form SSA-25. If you do so, your benefit will be reduced for early filing. When you file Form SSA-25, the normal deemed filing rules will kick in. (That is, you will automatically be deemed to have filed for your own retirement benefit as well, if you had not already done so.) If you don't file Form SSA-25, your regular spousal benefit will still begin automatically upon reaching full retirement age, and the normal deemed filing rules will apply at that time. If you have reached your full retirement age by the time your youngest child reaches age 16, your child-in-care spousal benefit will simply become a regular spousal benefit (i.e., will continue at the same amount). And the normal deemed filing rules will apply at that time.